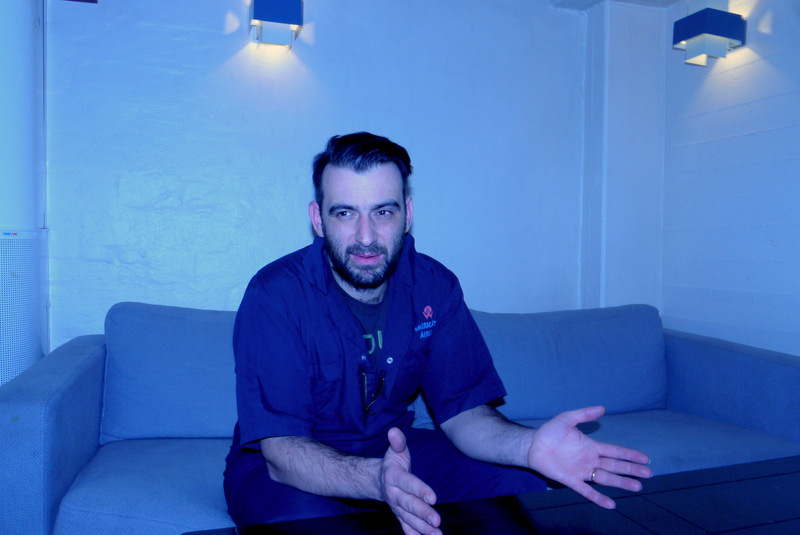 Modeseletor Interview, Copenhagen Feb 2013 | Mutuk5. Here is what Szary had to say about Copenhagen, Musical inspirations, and working with Thom Yorke. Amk: So, Szary is this your first time in Copenhagen ? Amk What was it like at Roskilde ? Szary: Roskilde was amazing, it’s a really nice festival. 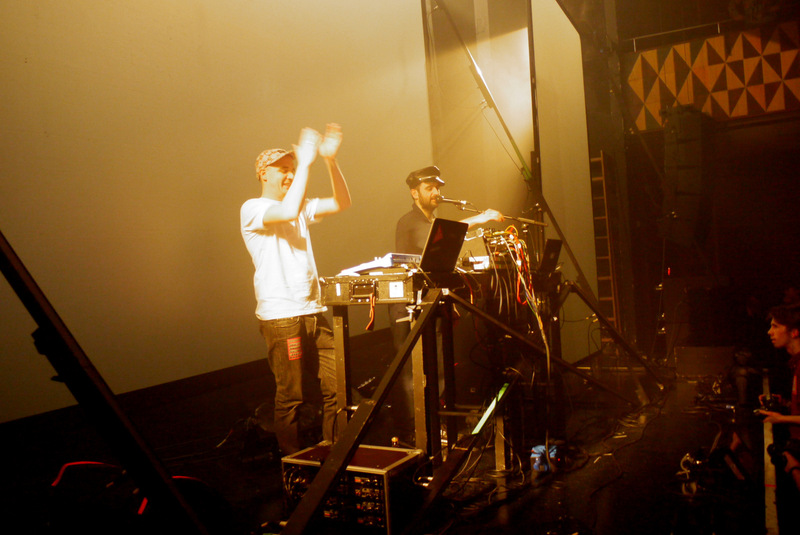 We’ve played there twice- last year and two years ago with Moderat, the side-project we have together with Apparat. You can feel that it’s a festival with a lot of history. Amk what was it like playing back in the early 90’s after the wall came down in Berlin ? Szary: The whole situation after the wall came down was comparable to the wild West. The wall coming down was like a revolution- all the different influences – Communism from the East, and Capitalism- consumption and so on from the West all came together. It was a very exciting time musically as well. A lot of different styles from all the radios from different sectors came together. Amk: What’s on your Ipod right now ? What are you inspired by ? Szary: I have a problem with my Ipod, I hate software updates so I stopped updating my Ipod a couple of years ago. Right now i’m listening to the new My Bloody Valentine album quite a bit. Modeselektor are quite diverse, we do our slalom thing. We came from the hip hop of the 80’s then went straight to Acid House back to hip hop (Public Enemy and so on) and then into techno, Sonic Youth rock, you name it. There are lots of undiscovered sound samples and non-western oriented styles of music from the 20’s and 40’s that inspire us when we compose, well I don’t want to call it composing, it’s more like jamming. It helps if you have a knowledge of music and I have to admit that Gernot and I don’t have proper musical knowledge. I don’t play the piano for instance, so the way we use our instruments is more intuitive than anything else. Amk: Indeed. What is it like to work with him, you guys are quite close, right ? Szary: Yeah, we’ve been friends for about ten years. The partnership started with remixes initially then we teamed up with Radiohead and it’s going pretty well. It’s more than just about music, we are good friends with Thom. He’s a nice guy. What’s your favourite city to perform in ? Szary: There are quite a few actually. We like cities that aren’t in the focus that much. Glasgow can be pretty fun, also in the rain. I like the people there, it’s a bit rough and similar to the rough feel of East Germany. San Francisco and New York are fun too as is Guadalajara, Mexico. 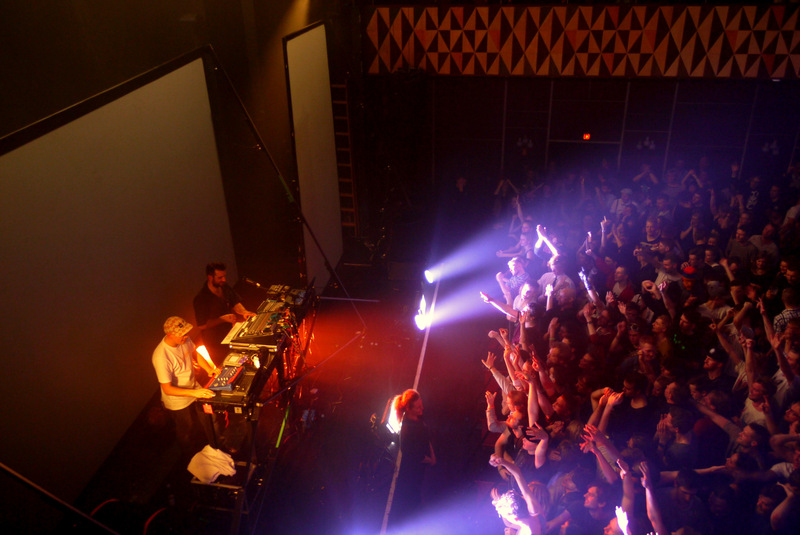 Lastly, What’s next for Modeselektor ? What are you working on at the moment ? Szary: Right now we’re working on the next Moderat album (teaming up with Apparat). It should be out in August. It’s time to continue our partnership with Apparat so that’s taking up almost all of our time. Aside from this we have our own private lives to keep us occupied as well.